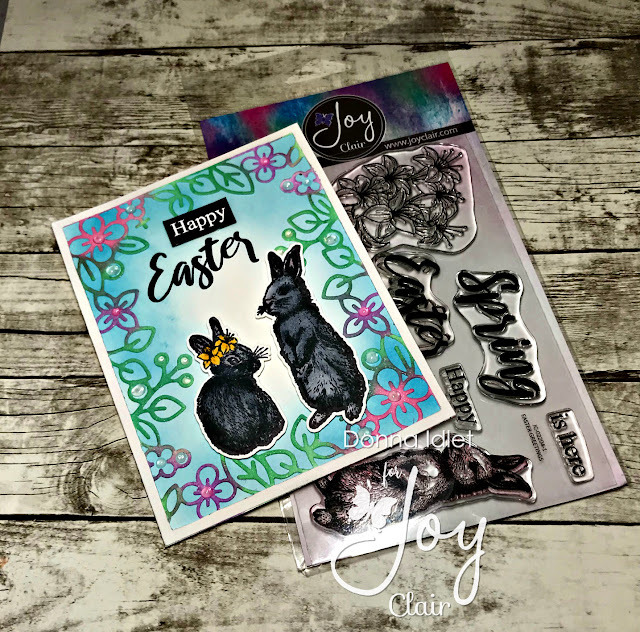 It's day two of the new release of Joy Clair Stamps! If you did not see the newly release sets, you can see them here on the Joy Clair Stamps blog. This release is screaming Spring! I don't know about you, I'm ready for Spring already. I am using the newly release set called "Easter Greetings". 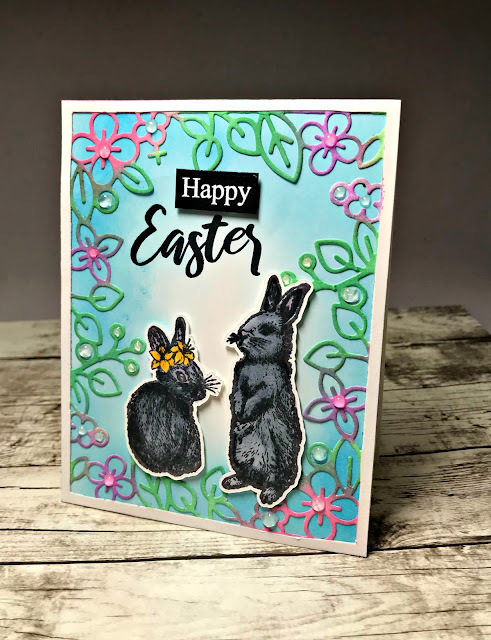 These adorable bunnies, the large bold sentiments and the beautiful lilies are wonderful for your card making or bible journaling. Such a cute card! Love the bunnies! Love the colors! They make the bunnies hop of the page! Love your bunnies - so pretty and ready for Spring! LOVE!!! Beautiful card ~ love the color mix!!! Love this card! Have to really check out Joy Clair. The bunnies are my favorite! Very pretty card with the floral frame around those cuties. The bunnies are so well colored and darling. But I really love the way you framed it with the pretty die in the spring colors. I love the dark colors on the rabbits. This is SO pretty! Love the frame around those realistic bunnies! Beautiful Easter card! love the bunnies!